Below -- select the State where you want to find or attend a Local AA Meeting or find a Local AA Meeting Contact Person. Once you select the State for AA Meeting -- then, you can select a City, Area or Region for Local AA Meetings. What are the AA Meetings about? A.A. members in local groups get together, usually once or twice a week, to hold an A.A. MEETING. In some areas you will find hundreds or even thousands of local A.A. Meetings being held each day of the week and at various times, morning through night. There are basically two types of A.A. Meetings. (1) "OPEN A.A. MEETINGS ": Generally, anyone from the public or local community can attend. At an Open A.A. Speaker Meeting -- A.A. members will be the main speaker at the meeting and will tell their personal story and experience with drinking alcohol and how they discovered A.A., and how the A.A. program has helped them. A.A. Members may bring relatives or friends, and usually anyone interested in A.A. is also welcome to attend "OPEN AA MEETINGS." If you are NOT an A.A. Member, do not worry about being asked to speak or to participate in the meeting! Even though it is an "Open A.A. Meeting" generally, it is not allowed for non-members and/or non-alcoholics to participate in the meeting. (2) " CLOSED AA MEETINGS " are for alcoholics only. These are most often group discussion A.A. Meetings , and any A.A. Member who want to may speak up, to ask questions and to share their thoughts with fellow members will be encouraged to participate. At "CLOSED AA MEETINGS" A.A.s can get help with personal problems in staying sober and in everyday living. Some other A.A.s may explain how they have already handled the same problems — often by using one or more of the Twelve Steps. Like other illnesses, alcoholism strikes all sorts of people. So the men and women in A.A. are of all races and nationalities, all religions and no religion at all. They are rich and poor and just average. They work at all occupations, as lawyers and housewives, teachers and truck drivers, waitresses and members of the clergy. 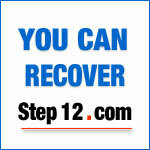 We have learned a great deal about how to identify and arrest alcoholism. But so far no one has discovered a way to prevent it, because nobody knows exactly why some drinkers turn into alcoholics. For that reason, A.A. concentrates on helping those who are already alcoholics, so that they can stop drinking and learn how to live a normal, happy life without alcohol. A.A. believes. If they do not stop drinking, their alcoholism almost always gets worse and worse. Both the American Medical Association and the British Medical Association, chief organizations of doctors in those countries, also have said that alcoholism is an illness. Not all alcoholics have the same symptoms, but many — at different stages in the illness — show these signs: They find that only alcohol can make them feel self-confident and at ease with other people; often want “just one more” at the end of a party; look forward to drinking occasions and think about them a lot; get drunk when they had not planned to; try to control their drinking by changing types of liquor, going on the wagon, or taking pledges; sneak drinks; lie about their drinking; hide bottles; drink at work (or in school); drink alone; have blackouts (that is, can-not remember the next day what they said or did the night before); drink in the morning, to relieve severe hangovers, guilty feelings and fears; fail to eat and become malnourished; get cirrhosis of the liver; shake violently, hallucinate, or have convulsions when withdrawn from liquor. A.A. — Alcoholics Anonymous is a worldwide fellowship of men and women who try to help each other to stay sober. They offer the same help to anyone who has a drinking problem and wants to do something about it. Since they are all alcoholics themselves, they have a special understanding of each other. They know what the illness feels like — and they have learned how to recover from it in A.A.
20 Questions Test - Are you alcoholic? Take this test and then you decide. Alcoholic Liver Disease ALD -- Do you know someone that you think drinks too much? What is one of the long-terms symptoms associated with alcohol abuse and alcoholism? Alcohol Poisoning — Is it true that it is very often fatal and can kill you? Alcoholic Self-Test using The Big Book — This study of the book Alcoholics Anonymous was used as the foundation for this test. What are Alcohol Withdrawal Symptoms? Can you die withdrawing from alcohol? — Read this and get immediate medical attention for anyone suspected of having Alcohol Withdrawal Symptoms! Doctors Opinion, Dr. Silkworth A.A. Doctors Opinion, Dr. Silkworth A.A. Emotional Sobriety Emotions produce euphoric and intoxicating effects. They can produce a sense of ease and comfort and contentment. They can also produce the opposite. When we are operating under the influence of our emotions verses the influence of our intelligence -- we are Emotionally Inebriate. A.A. Meeting information for A.A. Meetings in each State of the United States. A.A. Vision For You - A.A..